This means that you absolutely must replenish your electrolytes: sodium, magnesium and potassium. Cramps, headaches, dizziness and dehydration are commonly experienced when your body’s electrolytes are depleted. When you are in ketosis, you will notice that you need to go to the toilet more often–even at regular intervals throughout the night. This diuretic effect is due in part to your glycogen stores being emptied as your body eliminates the “water weight” and fluid retention. This water weight is linked to carbohydrate intake: One gram of glycogen necessitates around 3 to 4 grams of water in storage. This mass exodus of surplus fluids can cause dry mouth and increased thirst. 1 teaspoon of powdered magnesium or an ampoule of quinton minerals and electrolytes. 1/4 teaspoon xylitol, stevia or erithritol for those with a sweet tooth! 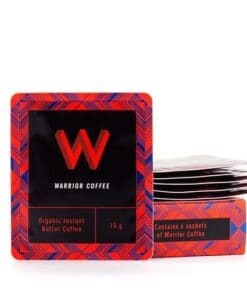 You can easily transform this recipe into a phenomenal pre-workout drink by adding one scoop of exogenous ketones and a serving of emulsified MCT Oil for that extra ketone energy boost! 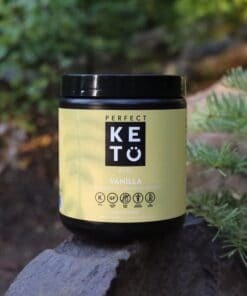 Exogenous Ketones also contain sodium, potassium and magnesium which help you to keep hydrated and avoid keto flu. Discover more electrolyte and ketone boosting recipes here. And don’t forget to download your Free 7 Day Ketogenic Meal Plan. This entry was posted in ketogenic diet and tagged ketogenic diet, what can you eat on a ketogenic diet, workouts. Pingback: Carbs: Friend or Foe? On Quantity, Quality and Timing of Carb Consumption for the Ketogenic Diet! Hi, I have a question. I´m on a ketogenic diet since 3 month now, but from the beginning I have severe problems with water retention. Everywhere I can read that people lose a lot of water, but I didn´t lose anything, neither water nor body weight. My urine strips show me that I´m in ketosis. I drink a lot of water and I´m always thirsty, but I don´t have to go to the toilet often. I startet with 20-25 gr. carbs a day . Since 2 weeks I increased the amount to 30-40 gr. carbs because I read, the hormones might play havoc. Any idea what could be wrong here? 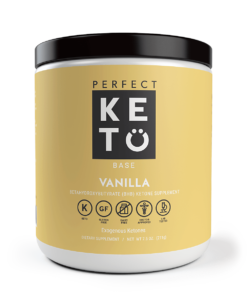 Pingback: Beginners Guide: What are Exogenous Ketones & how can you use them?